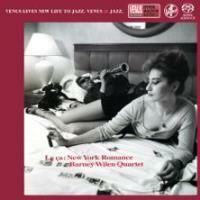 French saxophone player Barney Wilen returned to New York for the first time in 35 years to record a new album. Venus Records' producer Tetsuo Hara went all out to provide a stellar group of musicians to back him up: Kenny Barron, Ira Coleman and Lewis Nash. In addition, he booked the Rudy Van Gelder Studio with the master engineer himself doing the recording and mixing duties. The result is a fantastic album that won many awards. Recorded at Rudy Van Gelder Studio in New Jersey on June 19 and 20, 1994. Recorded and mixed by Rudy Van Gelder. Gate-fold paper sleeve edition. Single Layer SACD.